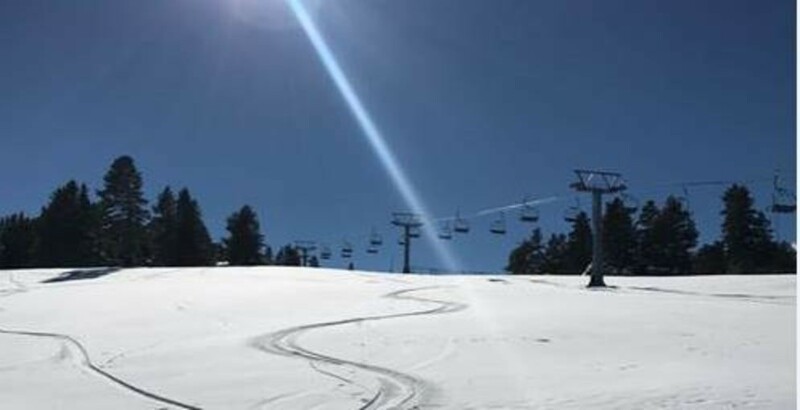 Skiers and snowboarders will have access to 600 acres. The Ski and Snowboard School will be offering all products applicable to Lionshead and Vail Village locations. Complimentary breakfast burritos from Vail Mountain and hot cocoa will be provided for early risers on opening day while supplies last. The beginner terrain will be open on the west and east sides. No beginner carpets at this time. Owl’s Roost 2 will access, Coyote Crossing, Practice Parkway and Ski School Ledges. Gondola 19 will provide skier and rider access around the Eagle’s Nest building via Coyote Crossing toward chair 2 (Ledges, Lodgepole, Columbine, and Berries). No skier and rider access below Cub’s way. Access to the base will be via lower Born Free – beginners should download Gondola 19. There will be limited beginner terrain and access to Lionshead base area. Catwalks such as lower Lion’s Way, Gitalong Road, Vail Village catwalk and Lionshead catwalk, (also known as chicken legs) will all be open. However, please be aware that the coverage of these roads is solely a result of snow making and conditions are firm and will likely become slick, firm and fast throughout the day. Eagle’s Nest Ridge will be open allowing access back to Gondola 19. All major trails off of 2 will be groomed and open for skiing and riding. Egress out of this area will be via Lodgepole gulch to Columbine and lower Lion’s Way, or from the base of Chair 2 via Gitalong Road (Cross Cut) to lower Born Free. There will be no skier or rider access to Vail Village or Golden Peak. All blue and green trails will be groomed and open, with black trails having gated access and unconsolidated snow. No access to Northeast Bowl (Chair 11), thus Riva and Riva Glade will be closed. Open to uphill and downhill passengers. Skiing and riding below Mid-Vail will be via groomed access on upper Lion’s Way to Avanti and Lodgepole gulch to the base of Chair 2. No skier or rider return access is available back to Vail Village. Skiers and riders wishing to return to Vail Village will need to download Gondola One. Beginners should download Gondola One. Again, there will be limited beginner terrain and access to Lionshead base area via catwalks as mentioned above. Is currently a designated race training area only and not open to the public. Chaos Canyon – Ricochet will be open to Gitalong Road. All other Kid’s Adventure Zones are currently closed. Some advance terrain will have access through gated entrances, such as Ben’s Face, Spruce Face, Look Ma, Challenge, Powerline, Skipper, Zot, Minnie’s Mile, and upper Born Free. The Lionshead and Vail Village parking structures will be free on Wednesday and Thursday. To Celebrate 10 years of the Epic Pass, we are offering 10 days of specials! Benefit coupons and new dependent passes will be printed by Product Sales and Services (PSS). New dependents are dependents who have never had their dependent verification documents validated by HR (verification must be completed at HR prior to pass printing.) You cannot receive your benefit coupons until you are an active employee. See below for locations and hours for benefit coupon and new dependent pass printing. Please remember – Golden Peak has very limited parking that is intended for guest and club use. Employees should utilize the in-town bus to get over to Golden Peak to pick up their benefit coupons. Enjoy this early season treat, please use caution and be aware that there will be unmarked obstacles just below the snow surface. I hope to see many of you on the hill.